This afternoon I was in the kitchen and heard the very distinct sound of a bee swarm outside the window. It’s spring so I immediately thought one of my hives was getting ready to pick up and hit the road. 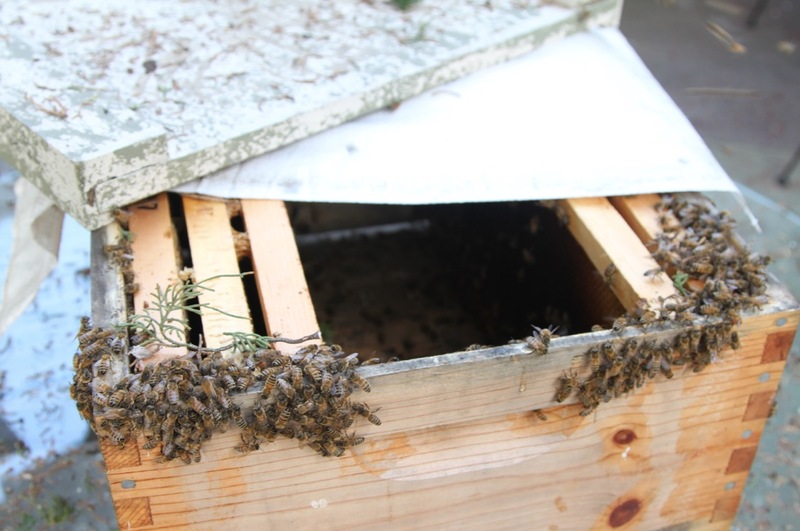 Sometimes bee hives grow very quickly as the queen ramps up production of new brood when the weather warms up. Beekeepers need to be careful to provide some lebensraum for the hive to spread out otherwise they look for a new home. I went up on the roof to check, but my hives were all happy as clams. Instead it was a feral swarm in a neighbor’s back garden two doors down. I went over to talk to her (we know each other well) but she wasn’t home. 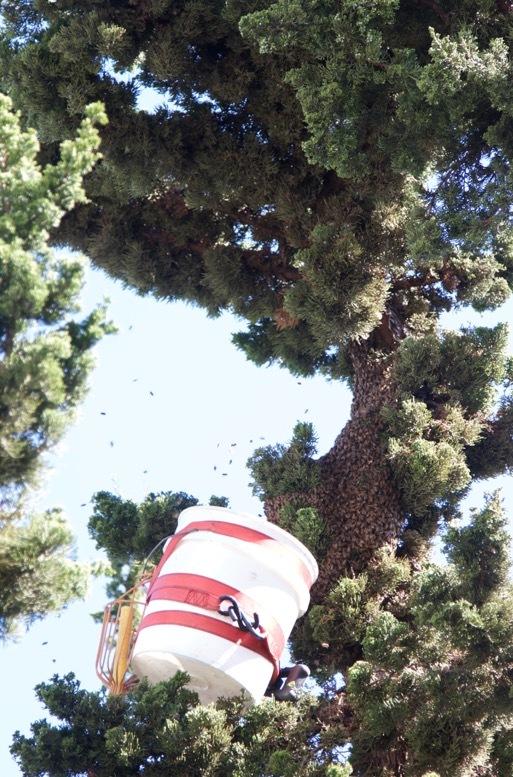 If the swarm wasn’t so high up in a tree I would have scooped it up myself, but they were out of my reach. 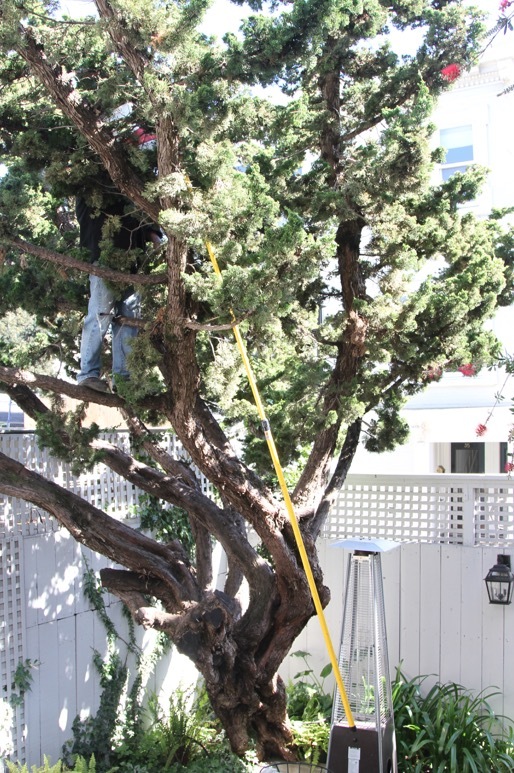 So I called one of the guys from the San Francisco Beekeepers Association and he was right on top of things with a long pole, a five gallon bucket, and a can-do attitude. 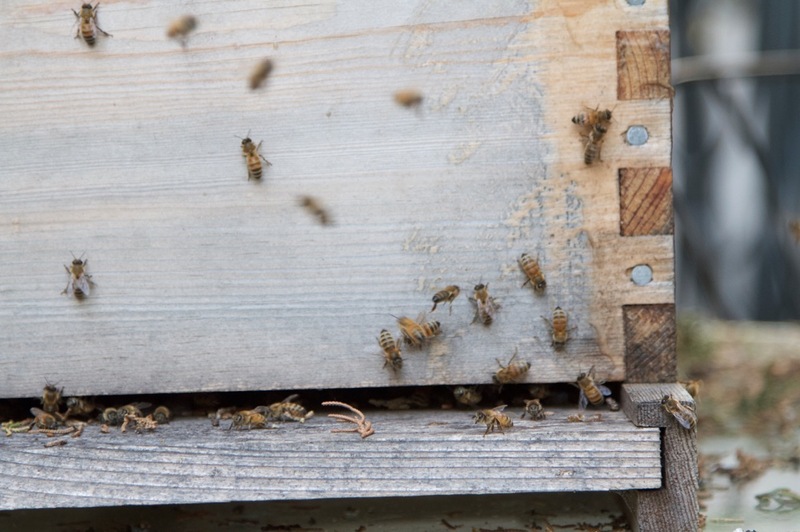 This little incident isn’t just about bees. It’s about a whole series of seemingly unrelated little spheres that all happened to overlap. 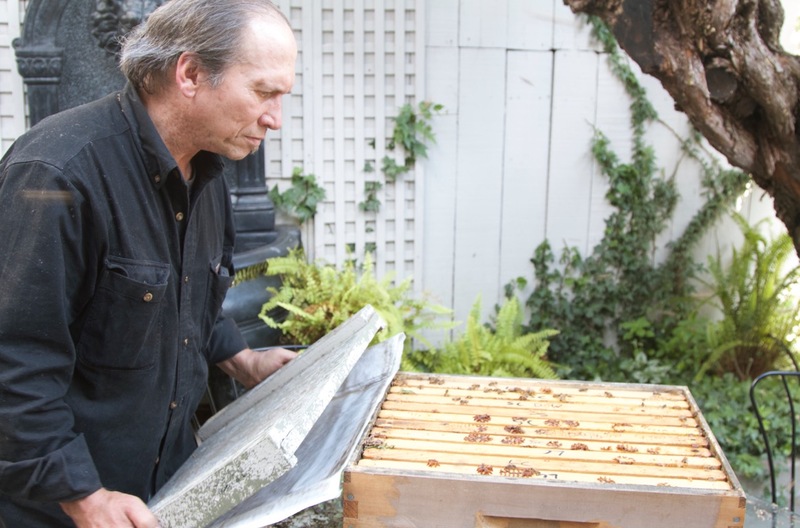 I took up beekeeping as a hobby five years. It was the easiest form of urban agriculture I could manage in a one bedroom apartment with no garden. I get loads of amazing honey from my hives and I got to know all sorts of interesting people in the city through the Beekeepers Association. These are people I probably would never have met any other way. I also know my neighbors. I don’t know them all intimately, but I know them well enough. I’ve always made a point of cultivating lots of connections. 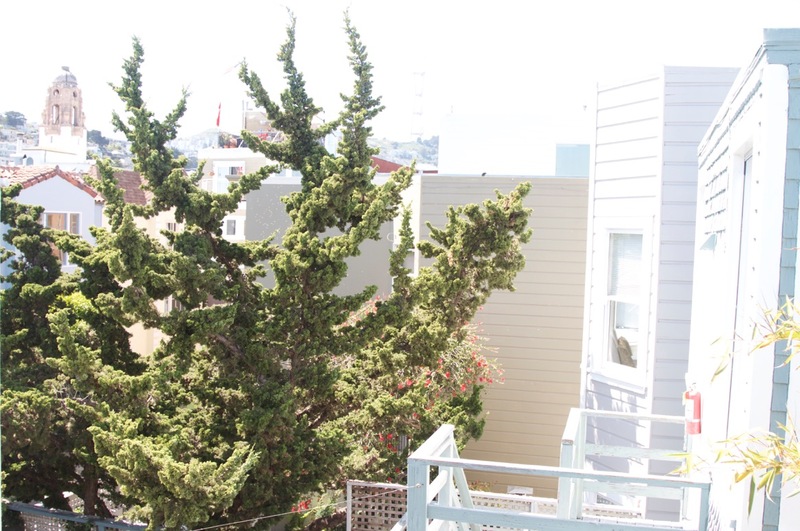 Not every neighbor is receptive, but at least I know who I can work with and who isn’t interested. 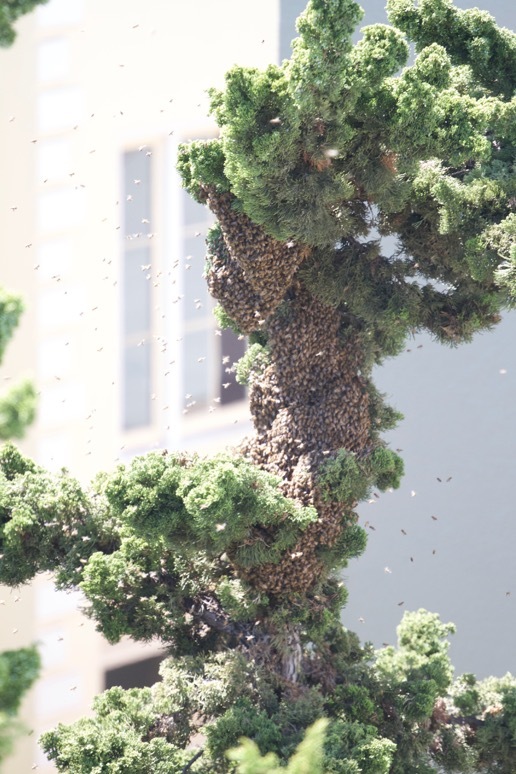 I knew the woman who owned this property wasn’t going to want a swarm of bees right outside her bedroom window and she was very relieved that I was taking care of this problem for her. 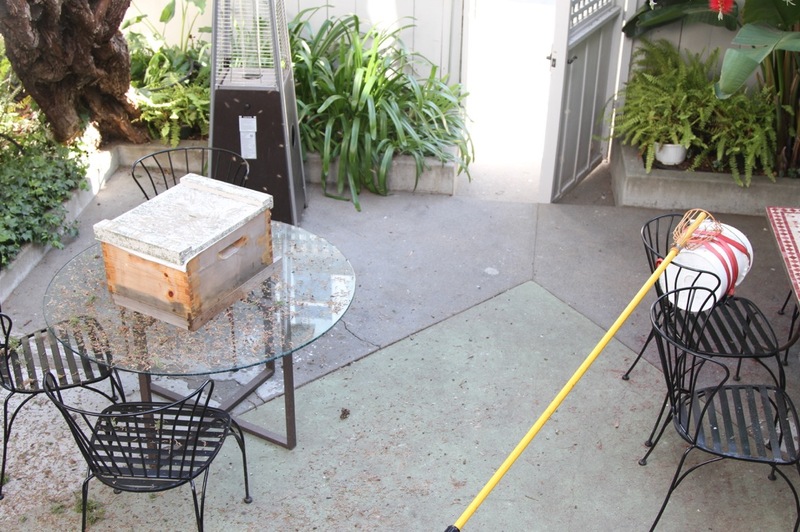 I was also helping to save the bees from the exterminator, which was their likely fate if I hadn’t intervened. 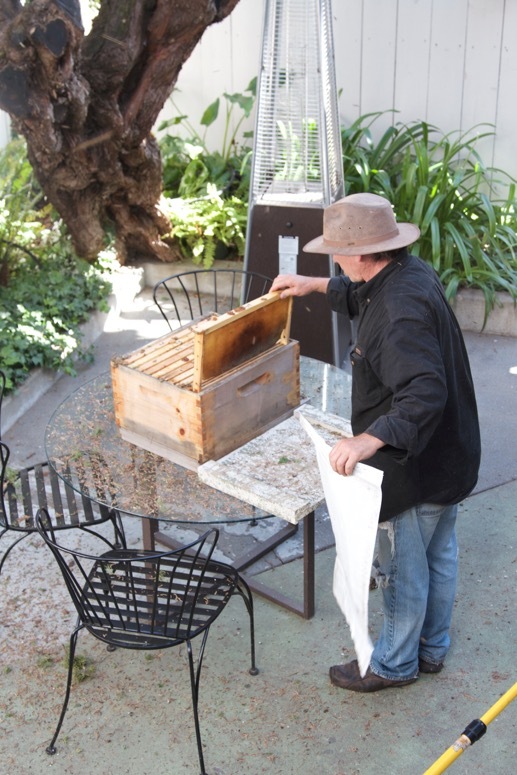 I helped a fellow beekeeper get a free hive, which will now enhance his thriving honey business at the farmers market. None of this is rocket science, but it’s the kind of thing that can be very easy in a well connected neighborhood. It’s one of the reasons I love living here.